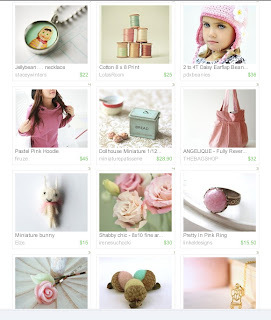 Made it to Front Page of Etsy! As I did mention in my last post, I am having a free miniature giveaway to celebrate the fact I have 100 followers following me. Thank you so much for your support! So what am I giving away?? 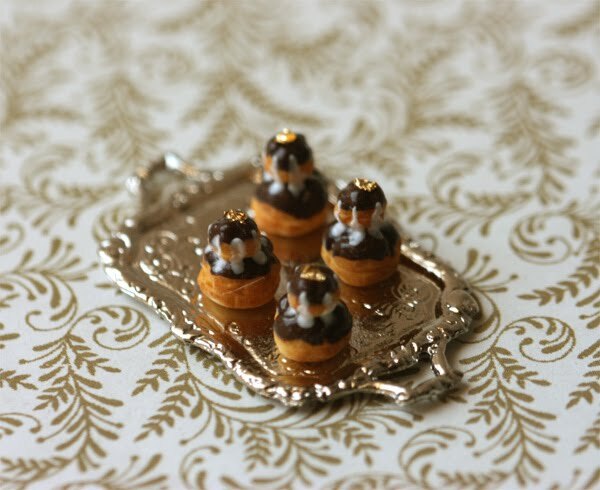 I'm giving away this cute set of 4 miniature chocolate religieuse desserts in a silver tray. I was recently being featured on 2 blogs. 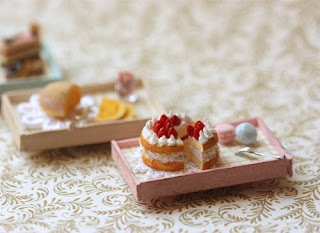 One of which was Paper Cakes Finds, a pretty blog that features cute items. Of course there is a list of what they are looking for, but you can read it from their blog. The post I was in was called "Pretty Shabby". Go take a look at their beautiful blogs! 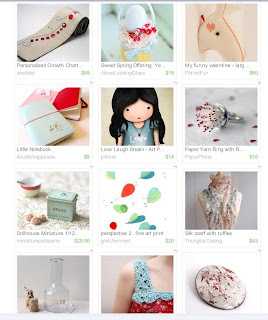 This lovely lovely treasury made it onto the Front Page of Etsy! And my mint green miniature bread box was just in there! Hello to all my followers! Thanks so much for following me. :) I am planning to do a giveaway, when I hit 100 followers!! The talk on Wednesday went well! The magnet boards were a hit. Although it was a small crowd, I found it cozy and just nice for me. I was a little nervous, since this is the first time I am giving a talk. I'm just glad things went smoothly, and I raised some money to fund help promising young girls in school who has financial difficulty. 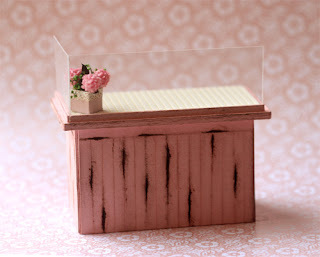 Of course, it's even sweeter as I decided I wanted this to be pretty in pink! I also intend to have this style in other colours. What colours would you like it to be? Let me know. 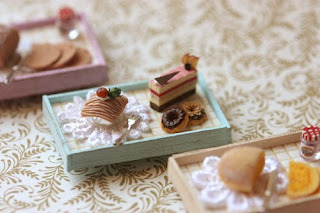 The cake shelf measures approximately at 8.5cm tall, 9.5cm wide and 5cm deep. I'll share more of how it went next week! 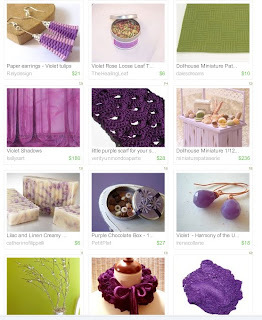 Thanks to MairiTales and chicalessia, I found myself in 2 beautiful treasuries, in 2 different colour schemes. One is a romantic violet, and the other is a fresh mint green. How lovely the colours are! 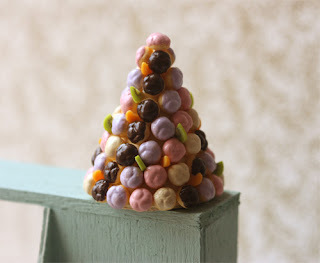 After the last 1:12 scale profiterole towers was sold a while ago, I haven't had chance to make another. I finally manage to make another new one, and this time, I made some taro flavoured ones. Brown, purple, pink and creamy white makes a nice combination I think! With such a colourful combination, I kept the decorations simple by just adding some fruit slices decoration. Hope you like it! Next week is the miniature talk! I'm just tying up loose ends here, cleaning up my slides, write up, that really should be it.